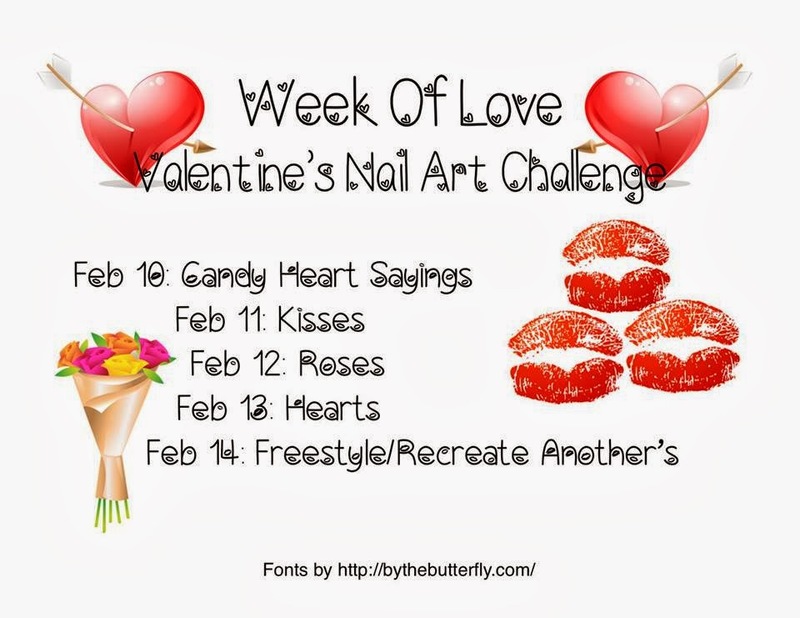 interpretation of candy heart sayings; I think I’ll take a day off! Plus, I wanted to go with something not so traditional. Black and white, with lots of glitter! Simple, yet pretty! Probably not the kisses you were expecting, huh? I like them, do you? You totally should! Tag me on FB or Twitter or something if you do, I'd love to see it! Oh my gosh, I totally love these!! <3 Great interpretation! very punkish! I like the texture. Ohh I love the word punkish for these nails. I was a little worried they would come off too Empire – y from Star Wars or something. Thanks Nidia! I like this unique take on kisses my dear, great brain storm there!! !